In the second of his series on the ethics of journalism, George Pitcher traces the philosophical roots of human character and argues that new technologies mean we have lost a capacity for journalists to develop their own practices and ethics. Virtue works part-time in most jobs these days. In politics, it seems to have been made entirely redundant – most noticeably in the new economy with the truth. The faithful electorates of the US and UK seem not to care whether Donald Trump or Boris Johnson tells the truth, in public life or private, so long as they remain in their assessment “a good guy”, whatever that may mean in this context. As for journalism, the only people that think there might be virtue in the practice of it are probably journalists themselves. There may be a fond folk-memory of a free and virtuous fourth estate, speaking truth to power and holding the state executive to account, but – as my previous blog argued – journalism is hardly a showcase for the cardinal virtues. Social media and their trolls, with their obsession with the corruption of the ‘MSM’, can take the rap for making matters worse. That said, no one sets out to create an evil media organisation. 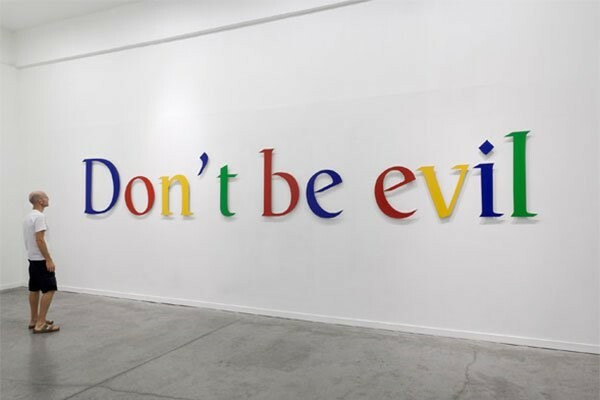 Google’s original motto was “don’t be evil”, albeit a declared aspiration it had to drop. The road to clickbait is paved with good intentions. The question is whether the technological revolution, by its nature, has sapped journalism of its ethics. Way before the digitisation of journalism, the Scottish moral philosopher Alasdair MacIntyre offered this doleful prognosis in the 1980s: “The triumph of organisation is not so much that it thwarts morality, but that it redeploys it towards the pursuit of technical ends.” So the demand for ever-faster means of distribution in increasingly competitive markets has, arguably, thwarted journalistic morality, or at least compromised it. That implies that there used to be virtue in journalism and we’ve lost it – that technology, perhaps, has squandered our humanity and the virtues that go with it. When we consider codes of ethics for journalists, we invariably focus on what in corporate circles are called outcomes – producing accurate news, which is at least second-sourced, with those sources protected, and intruding on privacy only in the public interest… and so on. There is no question that these outcome-behaviours are ethical. And that is the point: It is axiomatic that these are components of journalistic ethics and that ethics as a practice is about behaviours of restraint. That’s because we are hard-wired to believe that our ethical imperatives are about principled behaviour. The principles upon which we act shape our ethics. To that extent, our ethics are action-based. In journalism, that might be said to be too obvious for words. But it was not always so. Admittedly, it may always have been so in journalism, because journalism is a post-Enlightenment occupation – and it was the moral philosophers of the 17th and 18th centuries who shifted ethics to the action-based from the actor-based. Ethics before that were not about principled action, but principled people. The ethical framework that had prevailed since the 4th and 5th centuries BC, established by Socrates and developed by Aristotle in the Greek school, had related to the qualities of individual character. There were four cardinal virtues – courage, temperance (about self-restraint in all matters rather than just booze, thankfully for journalists), justice and wisdom, the last of which Aristotle called “the nurse of the virtues”. These form the basis of a system called virtue ethics and, it was argued, made us who we are and why we strived for a purpose – in short our story or narrative, or what the ancient Greeks called our telos (which gives us the practice of teleology). And it’s a critical distinction in emphasis when it comes to a system of ethics for journalism, because it distinguishes not so much between the principles of statutory and self-regulation, as between statutory regulation and self-governance. Objective regulation of the industry could be redundant if subjective governance defines journalism’s character. Or so the argument might go. But it’s unlikely to gain much traction because virtue ethics fell out of fashion post-Enlightenment. Until the 1960s, that is, when virtue started to enjoy a rehabilitation in academic circles. Then, in 1981, MacIntyre published After Virtue, now in its third edition and widely regarded as the touchstone for post-modern virtue ethics. In it he argues that virtue ethics are essential for people to live a good and fulfilled life. 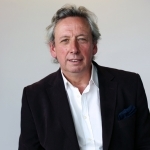 Geoff Moore, Professor of Business Ethics at Durham University, has taken this (quite dense) work and applied it more accessibly to the practices of corporations in his book Virtue at Work. He takes MacIntyre’s phraseology to show that, as ethical workers and in market terms, we transact goods: “Internal goods” are those that make us who we are (virtues, values, morals); “external goods” are about material success (money, status, reputation) – and, naturally, the external can either compromise or help to facilitate the internal. We play out, or perhaps work out, our internal goods through “practices” – these can be our self-defining gifts, whether being a brain surgeon or playing the cello. In MacIntyrean terms, a practice by definition must serve the common good and, as such, needs to come together with other practices in communal activity, which can give us the virtuous organisation. It’s important to recognise, in MacIntyre’s definition, that architecture is a practice, but bricklaying isn’t; so journalism is a practice, but printing isn’t. For a truly virtuous organisation, MacIntyre added to those four cardinal virtues constancy (keeping going) and integrity (being the same person outside work as in it) and awareness of tradition. That may not provide a definitive ethical framework for journalism, but it does perhaps begin to provide a model for governance of its practice, rather than simple regulation of its function. And in a digital era in which the wisdom of the crowd has developed a pre-eminence, it’s as well to conclude with MacIntyre’s contention that an organisation can “crowd in” virtue, just as we can crowd it out. For digitisation offers unparalleled access to the expertise and wisdom to be found in the crowd, if we only look for it. Finally, it’s worth noting that the application of virtue ethics in journalism would equip it better to identify character flaws that can compromise the leadership qualities of the Boris or the Donald. Views expressed are the author’s and do not necessarily reflect those of Dow Jones or the LSE.